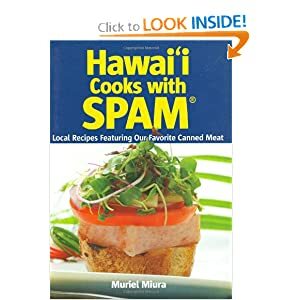 Spam is how we roll here in Hawaii, what can I say.We just about Spam everything, but it always works! In a large skillet or fryer; warm oil. In separate shallow dishes; place flour, beaten egg and panko.Dust Spam lightly with flour. Dip into beaten egg and coat with panko and pat well. Deep-fry breaded Spam for a few minutes; until browned on both sides. Drain on paper towels. For service: Slice Spam; layer onto bed of shredded cabbage. Serve with individual bowls of Tonkatsu sauce.Serves 2-4.